The Chamber of Commerce is a thing of the past, right? Well … from from it! Although the digital age has changed the way business has been done, the fact remains the local business’s rely on it’s locals. Without too much digging, you’ll find plenty of arguments and exciting reasons to keep on keepin’ on!! Here are 30 of the best reasons for why all business owners should join your local Chamber of Commerce today. The Chamber of Commerce might be a holdover from analogue days, but much like Consumer Reports, it’s still one people trust. 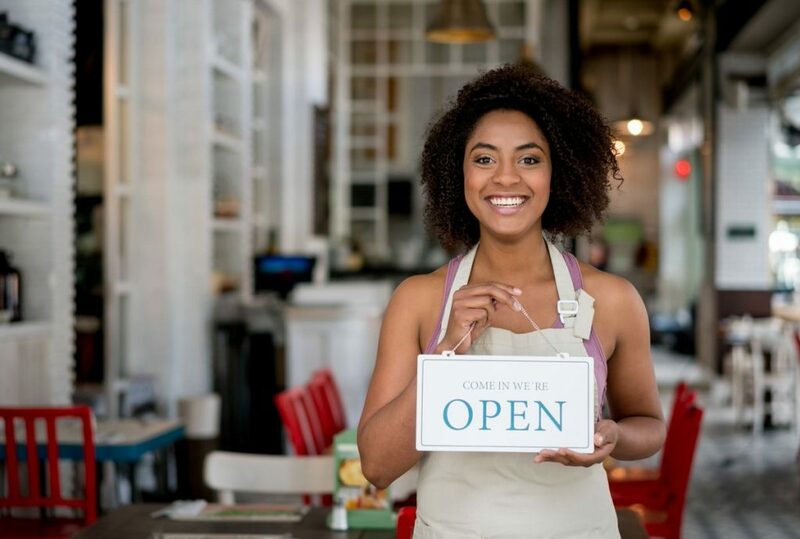 Plain and simple, the biggest edge Chamber of Commerce Membership gives your business is instilling consumer confidence. By serving on committees, you can directly influence the course of business events in your city. This goes one step further than simply grabbing the ear of government … you can be part of the government. Typically the Chamber of Commerce in your city allows you to post coupons and discounts for customers without having to pay a surcharge. That means big visibility at no cost to you, plus customer incentives to come in and try you out. It’s a win-win-win. Business developments in your city are a must-know, but many companies find themselves sadly out of touch due to the fact that they just aren’t tied to their communities closely enough. Avoid this fate by joining up. Sometimes you don’t get new customers because people simple aren’t aware you exist. If you want to reduce the number of people represented in this group, joining your Chamber of Commerce is a good way to go, because it puts you on the map. Consumers are significantly more likely to use your services once you have the Chamber of Commerce stamp of approval. We’re not talking a little bit more likely; we’re talking 50 to 60 percent more likely, according to varied numbers from Association of Chamber of Commerce Executives. Not only are consumers more likely to use your services, they are a full 80 percent more likely to buy your products, according to the same report. Many people receive a welcome packet when they move into your town. It contains information on schools, parks and recreation, and all the usual, but these welcome packets also contain guides to local businesses to help people become acquainted with the area. Prove yourself worthy, and that could be your name getting sent to every newbie in town. The Chamber offers endless opportunities for promoting your products. Instead of promoting them directly to consumers or other businesses, you can now build network partnerships and promote them indirectly through flyers, referrals and word of mouth. Of course, you’ll do the same for those businesses, forming rich bonds over time. One of the biggest benefits of joining is that you don’t need to have met any requirements to do so. That means brand new businesses can get started right away, all for the low cost of membership. While there is an application process, almost everyone gets accepted if they have a real business. The Chamber of Commerce maintains a mailing list, one of the most lucrative tools in any business owner’s kit. This alone is worth the price of membership. Opportunities come from strange quarters. Forming relationships with the other movers and shakers in town can generate everything from clients to new business ventures to advertising to awesome employees. The Chamber of Commerce stamps its members all over a variety of collateral, and for additional fees, will often plaster your name all over signs and banners at events trafficked by thousands. Big dogs join the Chamber of Commerce; it’s simply a fact. If you want to be seen as a leader, this is a step to take. Your presence at local events, your name on Chamber of Commerce branded collateral and your involvement in the community all lend the impression that you’re in more places than you actually are, and therefore that your company is bigger than it actually is. Though people like local, they also appreciate knowing your company has significant reach, which makes you look both professional and accessible. When the residents of your town know you to be part of its heart, they’ll want to engage with you even more. Especially if you’re a small startup, your marketing budget is likely limited. The amount of free publicity you get through a Chamber membership just makes financial sense. Sharing your opinions with lawmakers and others who matter can be a significant step forward for many businesses, so don’t waste the opportunity. Those who belong to the Chamber of Commerce receive more oversight of their business practices than others, which customers appreciate. Through the Chamber of Commerce, you’ll get access to a wide variety of opportunities to conduct charitable work and make contributions. While these are important for their own sake, they also produce opportunities to work with others in your field and make strong connections. The established figures in your town can’t help you out if they don’t know who you are. Chamber membership is a quick, easy and enjoyable way to remedy that. Volunteering is not only an enriching pastime, it can be a great business-builder. By working in the right industries, you can meet potential employees or even clients and customers. Referrals are the lifeblood of most service-based businesses, and you can never have too many. The good news AND bad news of joining the Chamber of Commerce is that you’ll be right in there with your competition. Sure, this may at times be uncomfortable or even downright unpleasant, but it isn’t a bad thing. Close proximity to your competition gives you an edge, because you can see how they do what they do. Many small businesses, especially new startups, can’t afford the cost of attending a well-known conference or hiring training professionals … or even paying for online business courses. Luckily, local Chambers of Commerce frequently hosts trainings on a wide variety of business topics, giving you a low-cost alternative. These events are the heart of commerce in your town, and are worth their figurative weight in gold. Planning an event is exhausting. The sheer number of details that goes into even a 50-person gathering can be nearly overwhelming, and more so as numbers climb higher. When you belong to the Chamber of Commerce, though, you can join up with other businesses to cut the workload, or even fund an event that you have no part in planning. What’s not to like? Belong to the Chamber of Commerce can give you the leg up you need to outperform the competition, especially considering the increased trust you earn from consumers, and therefore their increased willingness to work with you. Chamber of Commerce members often have access to discounts on advertising around town and through the organization’s website and other platforms. Plus, you may get discounted advertising from other members in exchange for performing a service for them. There are, of course, also digital benefits to a membership. Chief among these is improved Internet SEO and social media management. When you join the Chamber of Commerce, your business gets linked not only from the Chamber’s page, but from the pages of many participating members, who will list you for events you’re hosting or subsidizing. The result is a lot of links back to your site, which tells Google you’re important. Next time you’re wondering whether the good ol’ Chamber is worth it, stop yourself in your tracks and just get that membership. Then make the most of it, meeting and greeting, participating in events and doing everything you can to get your business venture out into the world. You might be surprised at the results this “antiquated” business strategy is still capable of generating. To your success!